Energy/Experimentation: Black Artists and Abstraction 1964 - 1980. Catalogue for exhibition held at the Studio Museum in Harlem, April 5 - July 2, 2006, featuring the work of Frank Bowling, Barbara Chase-Riboud, Ed Clark, Melvin Edwards, Fred Eversley, Sam Gilliam, Daniel LaRue Johnson, Tom Lloyd, Al Loving, Joe Overstreet, Howardena Pindell, Haywood Bill Rivers, Alma Thomas, Jack Whitten, and William T. Williams. Certainly less discussed is the strong voice of abstraction that developed among black artists around this time in both painting and sculpture, a voice created by a critical mass of practitioners committed to experimentation with structure and materials. Flush with the scientific idealism of 1960s, they wrestled with new technologies, including light-and electronic - based works and explorations of recently invented acrylic paint. Their painted works were formal, holistic and engaged, to an extent, with geometry or primary forms in the manner of other contemporary trends, including post-painterly abstraction and systemic painting. They moved from the planar into considerations of “objecthood” that signalled minimalism. Most of them did not fall wholly into one camp or style, but rather their works were hybrids formed in unique, individual language of abstraction, at once iconic and emotional, optical and vibrant. 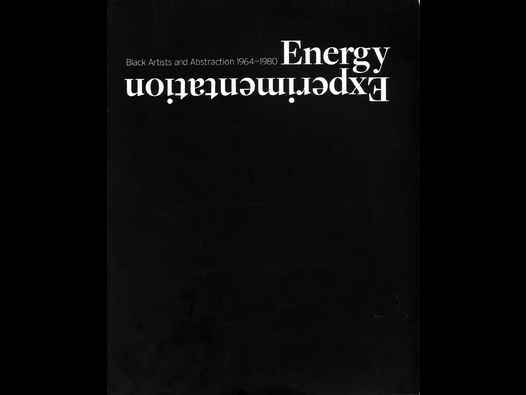 Catalogue (148 pages, colour throughout) features Acknowledgments by Thelma Golden, Director & Chief Curator, The Studio Museum in Harlem, Curator’s Foreword by Kellie Jones, then several essays, as follows: To the Max: Energy and Experimentation, by Kellie Jones; Discrete Encounters: A Personal Recollection of the Black Art Scene of the 1970s, by Lowery Stokes Sims; Free Jazz and the Price of Black Musical Abstraction, by Guthrie P. Ramsay Jr; The Re-selection of Ancestors: Genealogy and American Abstraction’s Second Generation, by Courtney J. Martin. Followed by Black Artists and Abstraction: A Roundtable, featuring Louis Cameron, Melvin Edwards, Julie Mehretu, Lowery Stokes Sims, and William T. Williams, Moderator: Kellie Jones. The catalogue concludes with substantial Artists’ Biographies, Contributors’ Biographies, and finally, a checklist of Works in the Exhibition. Black Romantic, subtitled The Figurative Impulse in Contemporary African-American Art was an exhibition hosted by The Studio Museum in Harlem in 2002 (April 25 - June 23). Featuring some 30 artists, namely: Alonzo Adams, Leroy Allen, Iana L. N. Amauba, Jules R. Arthur, III, Alexander Austin, Marlon H. Banks, Nina I. Buxenbaum, Clifford Darrett, Keith J. Duncan, Lawrence Finney, Gerald Griffin, James Hoston, Robert L. Jefferson, Oliver B. Johnson, Jr., Troy L. Johnson, Jonathan M. Knight, Jeanette Madden, Cal Massey, Dean Mitchell, Kadir Nelson, Leslie Printis, Robert V. Reid, Jonathon Romain, Philip Smallwood, Aj Smith, Toni L. Taylor, Hulbert Waldroup, Larry Walker, Shamek Weddle, and Kehinde Wiley. Shonibare was in fact born in London. The small but extensively illustrated catalogue included an essay on Shonibare by Okwui Enwezor. (Shonibare was in fact born in London). 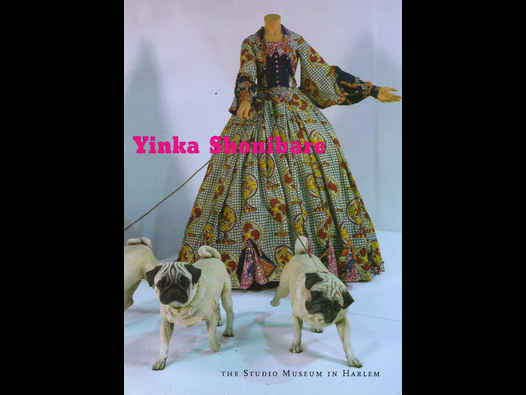 Essay, Tricking the Mind: The Work of Yinka Shonibare, by Okwui Enwezor. 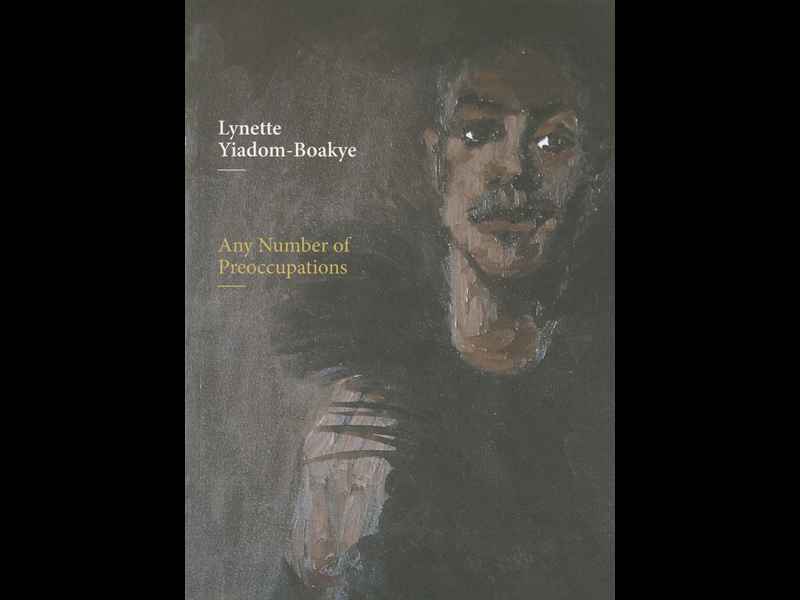 Catalogue for major Studio Museum in Harlem exhibition by British artist, Lynette-Yiadom Boakye, called Any Number of Preoccupations, 11 November 2010 – 13 March 2011. The Shadows Took Shape was an exhibition held at Studio Museum in Harlem, 14 November - 9 March 2014. A review of the exhibition was written by Miriam Atkin and appeared in the March 2014 issue of Art in America, on pages 145-146.